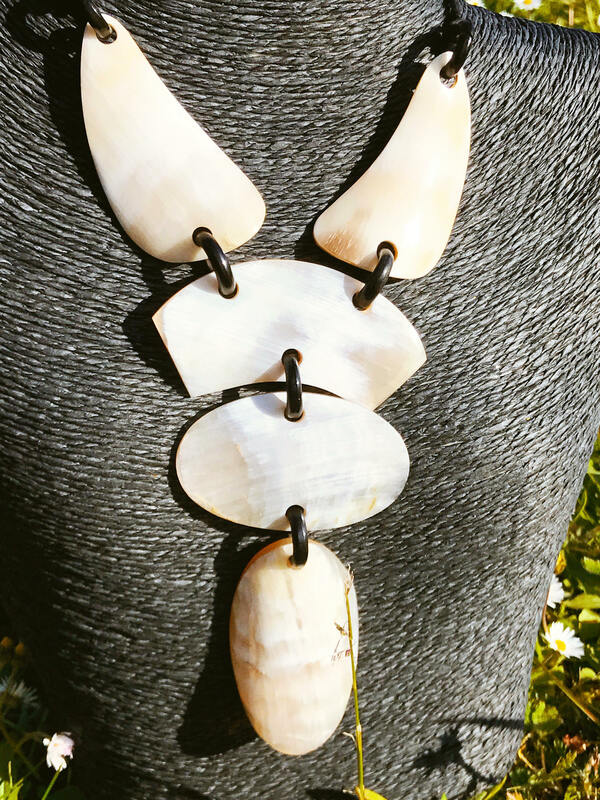 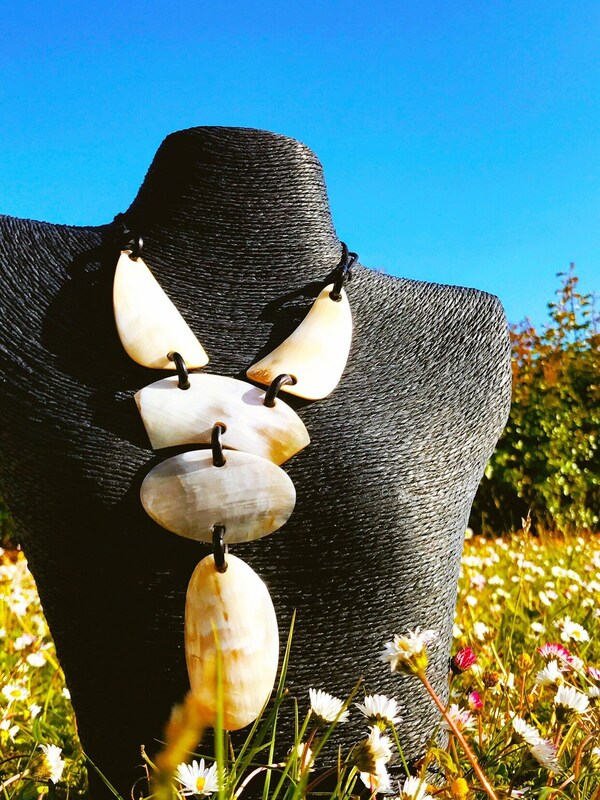 A great necklace "Ayizan" Horn gross of cattle to fully appreciate the material is natural Horn! 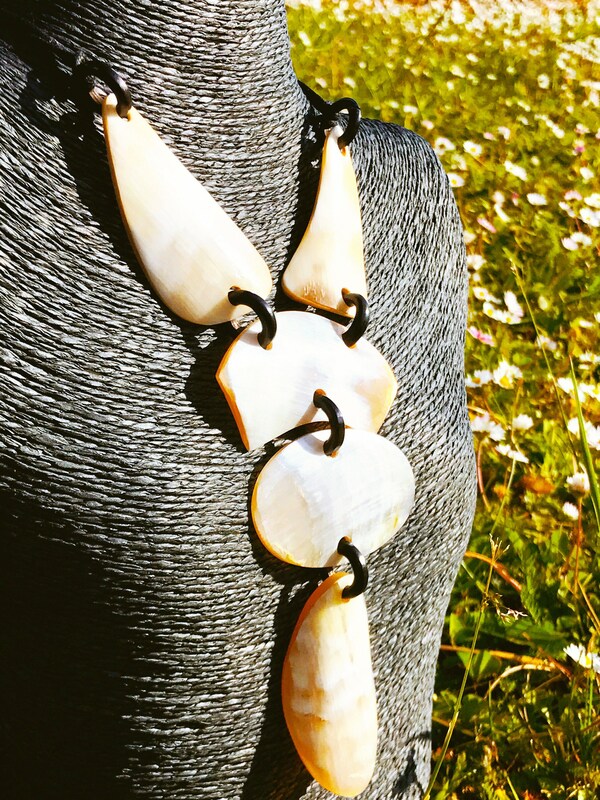 Perimeter of Necklace: about 70cm. 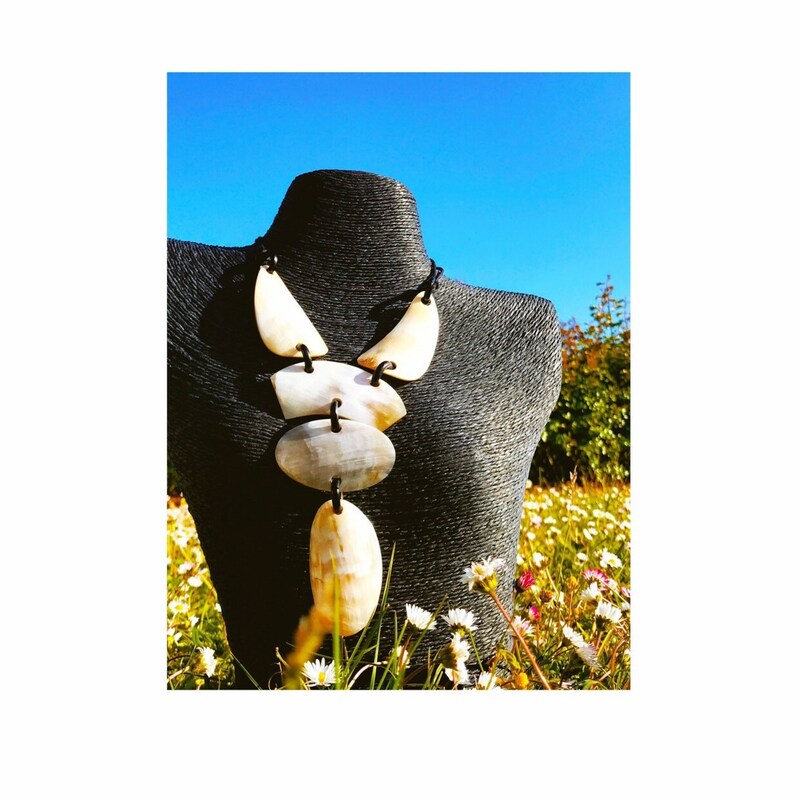 Ethnic 40 cm necklace with rows of large clear Horn beads and a pendant double sided with black Horn.